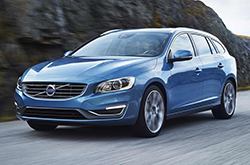 Volvo combines power and utility to provide a versatile, luxurious wagon that 2016 Volvo V60 reviews have labeled a class leader. 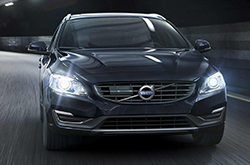 With the performance of a sports sedan and additional cargo space, the 2016 V60 is the epitome of class and function. 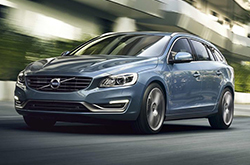 Whether you're looking for a small car with top-notch efficiency or a sporty four-door with lots of energy, come test drive a 2016 Volvo V60 near the Dallas area today and see if it's the right car for your needs. The backseats can fold down in three separate 40/20/40 segments so any extra cargo can fit perfectly. Whether you opt for one of the new exterior colors, like Magic Blue, Osmium Grey or Onyx Black, or stick with one of the many classic color options, you are sure to find a hue that suits your personality. Not only is the car color, trim level and package level completely up to you, but you also have the option of selecting a powertrain that will meet your needs. If you would like a classic and efficient ride, the 2.0L four-cylinder T5 engine features 245 horsepower and Drive-E technology. A step up, the four-cylinder T6 engine incorporates the same efficient Drive-E technology to provide even more output at 306 horsepower. Plus, buyers can maximize sports capabilities with the unique R-Design model. Regardless of the selected trim, if you purchase a 2016 Volvo V60 in the Dallas metro area, you'll benefit from a level of safety and comfort that can be reached only in a Volvo. The enhanced safety suite features collision preventing technology with cyclist and pedestrian detection software, a parking assistant, cross-traffic alerts, a road sign detection system, and built-in booster cushions that can provide a comfortable and safe ride height for children. Additionally, drivers have the full ability to utilize the intelligent information center, Sensus, in order to discover nearby restaurants, stream new music, receive text messages audibly and even schedule their next Volvo services. With a technology suite that is truly innovative, plus several optional upgrades like a heated steering wheel, navigational services and paddle shifters, the Volvo V60 offers convenient amenities for a variety of needs. You'll find that 2016 Volvo V60 reviews are not lying when they praise the quality of this year's luxury wagon. With impeccable charm, unlimited features, extra efficiency and a sporty style, the Volvo V60 is back and better than ever. Compare Volvo's newest model of the V60 to its rivals and we're absolutely sure that you'll choose it over vehicles like the 2016 Toyota Venza, Volkswagen Jetta SportWagen and the Subaru Outback. Shoppers will appreciate the V60's tasteful exterior design, as well as its convenient incar technologies. It's a truly amazing value, which you'll definitely see when comparing its price to the aforementioned vehicles. Look over our Quick List below this text to find out more! Make the most out of your next Volvo purchase. Crest Volvo Cars offers reviews like the 2016 V60 one above, along with reviews of former models, so you can research before you buy. Good reviews are hard to find ; but as the leading Volvo retailer in Plano we've put it all in one location for you. Want to know about the 2016 V60's cabin features and other specs? As your Volvo retailer, you can count on us for precise information. 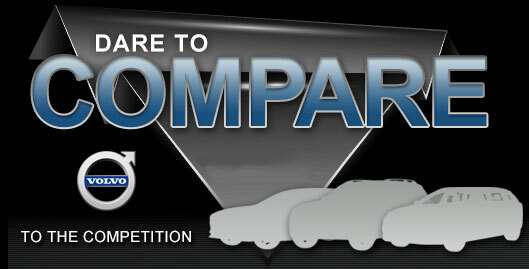 Want to read other Volvo car comparisons and reviews? Then visit our digital research index, where you'll learn about other new vehicles available at Volvo of Dallas.